By Gavin Dalton | March 17, 2019. Having played for Sunderland and Darlington FC previous to his current spell at Bohemians, it’s hard to believe James Talbot is still only 21. Having moved across the water to the Tyneside club at the slender age of 15, the Finglas native returned home to Dublin last year before being snapped up by League of Ireland outfit Bohemians FC. James is thoroughly excited to get out in front of the Dublin crowd and can’t wait for the season to commence against Finn Harps at home. “I’m really looking forward to it. I’m really anxious, really excited but I’m nervous at the same time. “Literally just as I was coming in the car there my mates text me saying eight of them are just after getting tickets for the game. I must know about 50 or 60 people already going and because it’s the first game of the season I know it’s going to bring a good crowd, so hopefully we can provide a win for them”, said the shot stopper. Having spent five years overseas, James says he is still adapting to life back in Ireland. With experience of playing on both sides of the Irish Sea, the former Irish underage keeper says there isn’t a major difference in the standard of football between Sunderland and Bohemians. “ If you go over to League 1 or League 2 you’ll find the same as what you will here with the LOI. There’s probably more money over there but that’s about it, there’s no real difference in terms of quality. LOI teams, the likes of Cork and Dundalk, they’d go over and play some English teams off the park if they wanted to”, said the Dublin native. During Talbot’s time at Sunderland, he was lucky enough to work alongside both Ireland legend John O’ Shea and England and Everton netminder Jordan Pickford, who he brands as two ‘smashing lads’. “Sheasy, he was really good and he looked after me when I went over there. Constantly giving great advice. He’s played at the very top of the game and he’s a hero to us. To the likes of me going over there, looking up to him and training with him was huge”, insists the 21 year old. The former Sunderland u23 keeper knew Pickford was destined for great things stating how he is ‘technically unbelievable’ and how his distribution of the ball was ‘up there with the best’ he had seen. 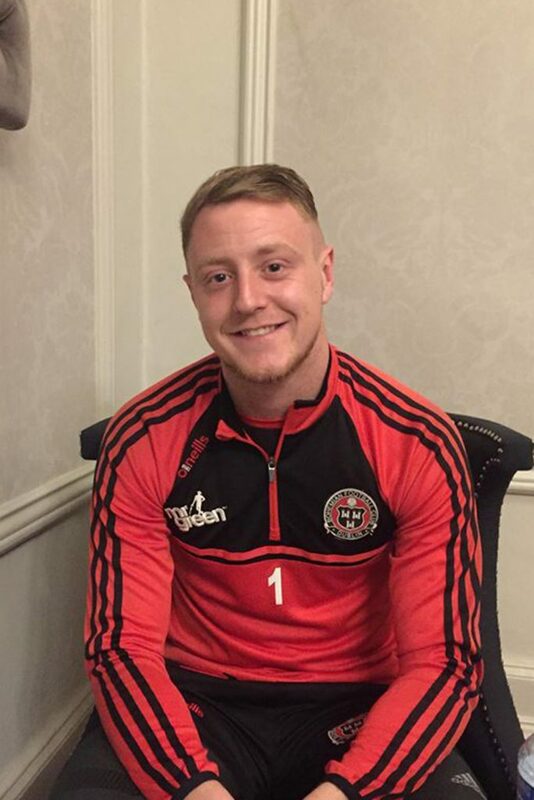 With the retirement of the experienced Bohs’ keeper Shane Supple this year, Talbot admits he is totally aware of the huge boots he has to fill and added how he was unaware Supple was due to retire at the time Keith Long called him to sign up with Bohs. Some might see Bohs’ as a stepping stone for Talbot getting back to England to play football, he insists this isn’t the case. “I don’t see it like that at all, I’m happy where I’m at. Like I’d a couple of contracts offers in England, nothing big, but contracts to stay over there, to make a living, but I wouldn’t want it. “Maybe when I’m like older like 25/26 it might be different, but definitely not now. I really want to do well for Bohs and stay there and sign on again next year having had a good year, but I don’t look at it like that at all”, said the current Bohs number 1. In terms of personal goals for his new adventure at The Gypsies, James says he’d like to ‘play every game’ and how he’d like to ‘be at Bohs for the next couple of years, being happy playing football’. With an exciting time ahead of him here in Dublin, here’s hoping the man between the sticks thrives in this new chapter of his footballing career.